I’ve been reading Varg Freeborn’s excellent Book ‘Violence of Mind’ recently. And have enjoyed this thought-provoking text. The author does not pull punches, he tells it like it is. And in so doing, he has created a book illustrating how to notice, avoid, and prepare for situations involving extreme violence. One of the prime tennants of this book is: People have to have a proper mindset and clear mission. For the individual reading this book, that means knowing what you are trying to do if you are provoked or attacked. If your mission is to come home safe to your family every day, then that means avoiding conflict, but being prepared to do everything within your rules of engagement (the law) to deal with a violent threat as efficiently as possible. This can also work on the Macro scale as well. Military and Law Enforcement need to have a clear mission, and do everything to develop a mindset of how to deal with violent offenders and foreign threats to the nation. For the military, this is even more critical as we have moved from the twentieth century cold war of peer and near-peer threats, to dealing with an insurgency for the past 16 years, and now everything in between. Having to deal with the threats present on a modern battlefield is as challenging as what law enforcement face on a daily basis. The mission of the United States Military, and in particular the Army is to fight and win the nation’s wars. Period. End of statement. All other tasks that we do are in support of that mission. That means we have to focus our training on preparing for that day. And this applies to every branch of the Army, not just the Combat Arms. Does this mean we expect our cooks to be Casey Rybeck of the movie ‘Under Siege’? No, but what we do expect, is that every unit look at what it is they are doing, and accept the fact that they may have to actually do violence against the enemies of the United States at some point in their career. As an NCO or junior officer, it is your responsibility to understand what the potential is for you to be in contact with the enemy, and to train your soldiers accordingly. Being in the military and not understanding that truth, is doing a disservice to one’s self, and your subordinates (if any). For example, if you are on a re-transmission point for relaying communications traffic , it sounds like you will not have to deal with enemy threats face to face. But every rotation at the Joint Readiness Training Center illustrates the fallacy in this belief. The Opposing Force is notorious for attacking the rotational units there for large-scale force-on-force exercises where they are weakest… Which usually means those people who are ‘behind the front lines’ doing ‘non-Infantry’ work. If you do your assessment, and you realize you, our your unit are a ‘soft target,’ then you have to refine your units’ mission and training accordingly. This is especially true for conventional units in support of non-standard operations. If you are in a Forward Support Company of an Artillery Battalion in one of the three ‘rifle’ brigades of the 82nd Airborne Division, your units’ mission is to close with and destroy the enemy first, deal with logistics, second. Because securing a drop zone means everyone is jumping into a hostile area. And until the lodgement is cleared, and follow-on forces arrive, all you have to rely on is yourself, and your fellow Paratroopers behind enemy lines. 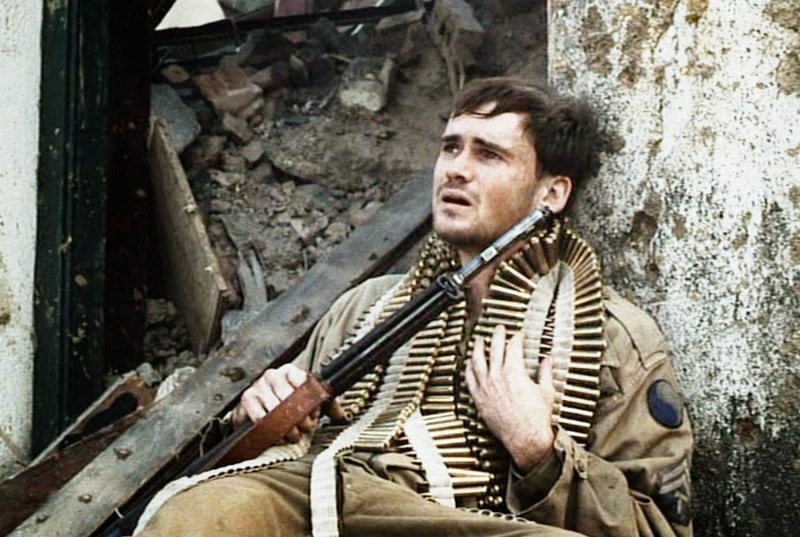 If you don’t do that assessment, when the time comes, you will freeze like Corporal Upham in ‘Saving Private Ryan’ did during the battle of Ramelle. And as a result, your soldiers die. Know your mission, define it, and then seek out the training necessary to be proficient at it. This may mean that you will have to learn a skill that you are not necessarily comfortable with. I’ve encountered many soldiers in non-combat arms specialties who fear their weapon… And a few in the Combat Arms as well. And the only reason they do is because they have not been trained with it. Read the training circulars on your assigned weapon, seek out training opportunities, never stop learning. P&S 164 – Finding the Right Info Sources «» Greetings from Primary & Secondary. I’m a retired 11M – nothing special, just a standard-issue mechanized grunt – and at one point, I was attached to the Guam National Guard. Back then, they were a support and services battalion, and it was my first experience with a non-combat arms unit. It was an eye opener…and that was back in mid-80’s. They had a small PW processing MP detachment, and any and all security ops were shuffled off to them. The other companies were specialized units, and “never had time” to pull their own security, much less train to defend themselves. They were all good at their respective assigned tasks, but otherwise little more than targets for any sort of an attack. Thankfully, things have changed some, since then. It was an eye-opener…and that was back in mid-80’s. As for Varg’s book, I’ve read it – and it, too, is a real eye-opener.